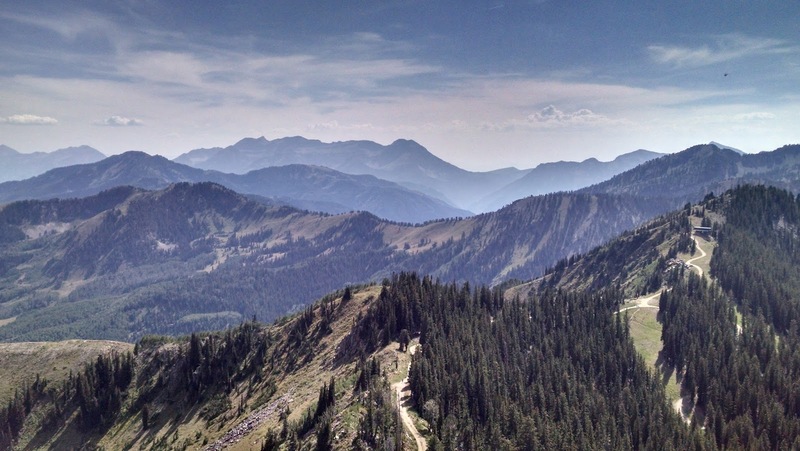 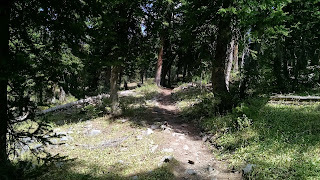 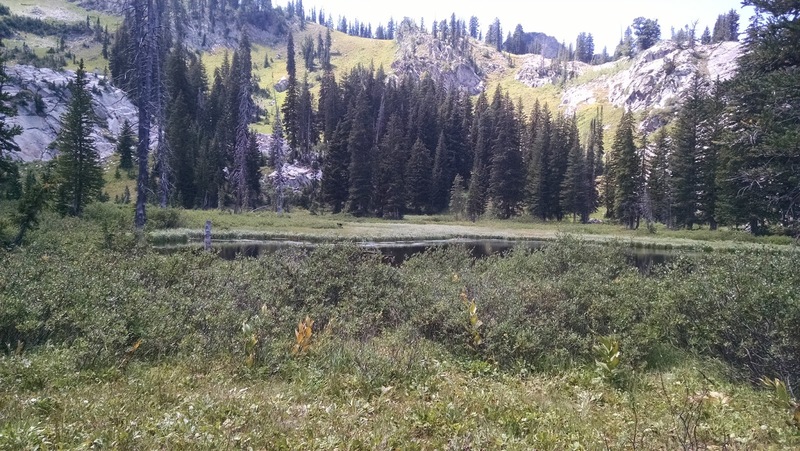 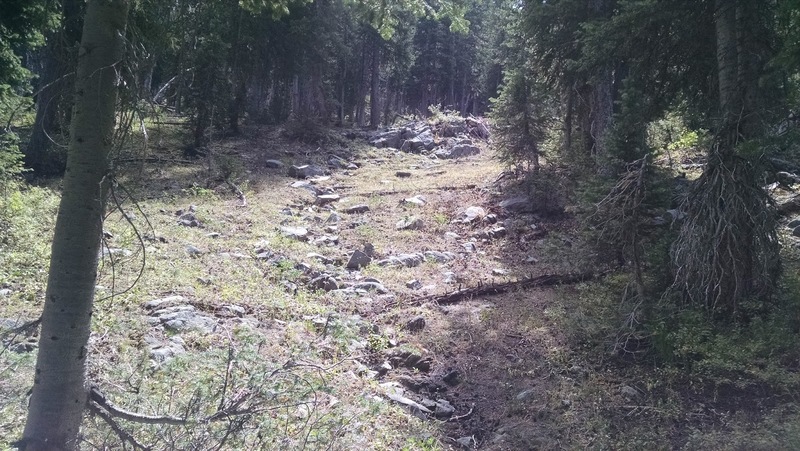 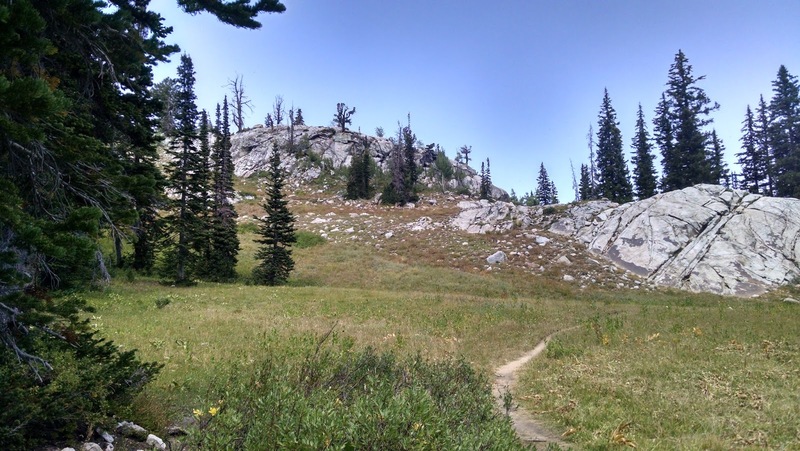 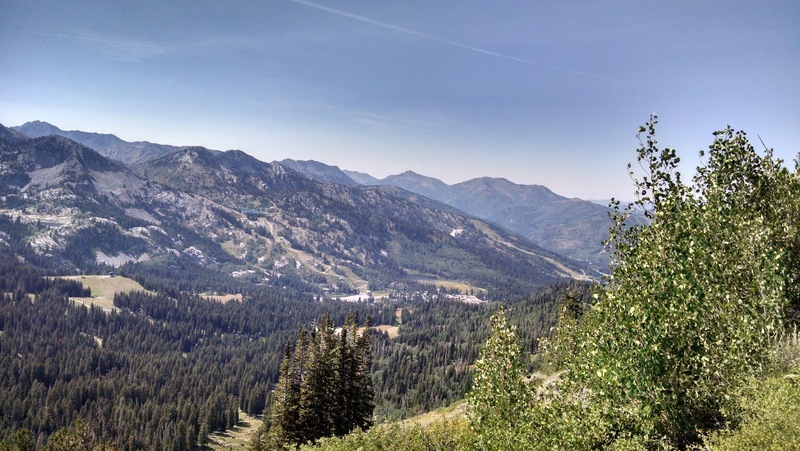 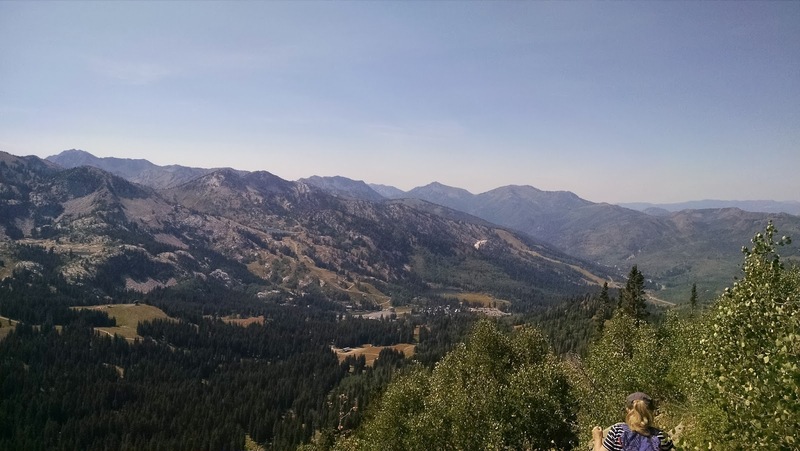 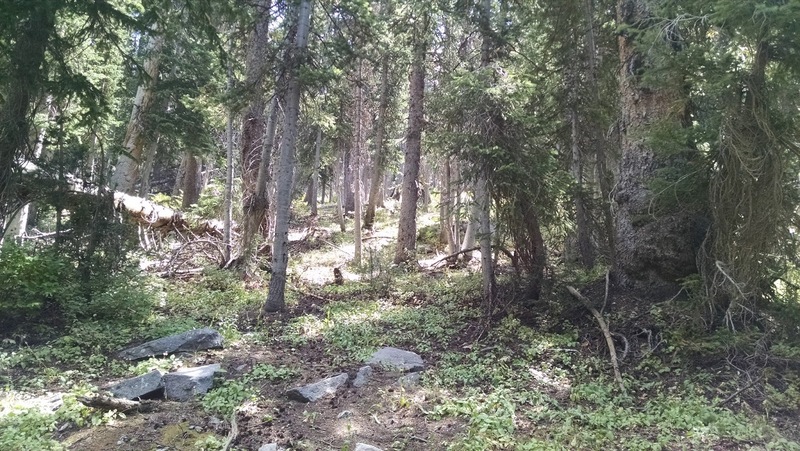 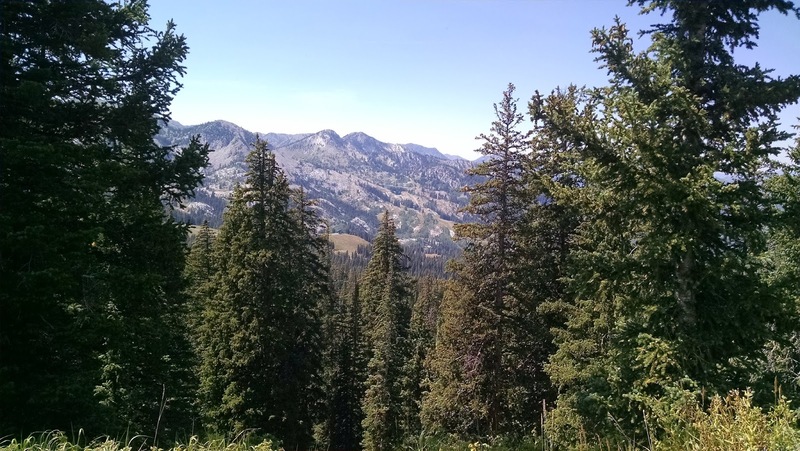 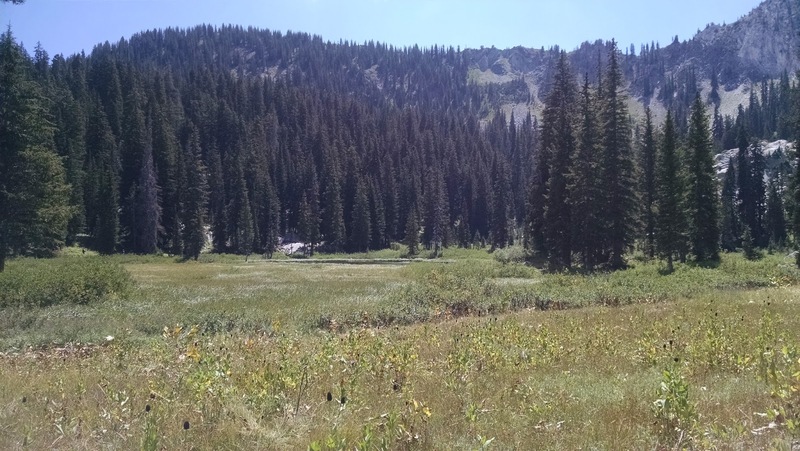 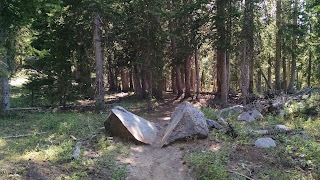 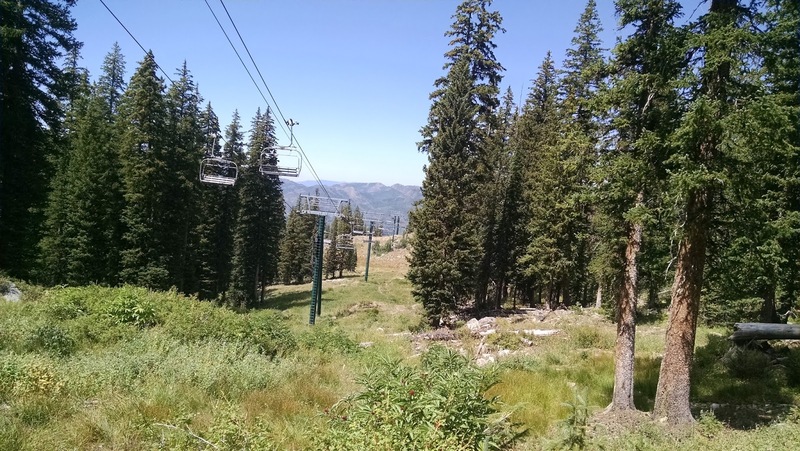 If you have been a regular reader for a while, you know I've done most of the trails in the Big and Little Cottonwood Canyons. 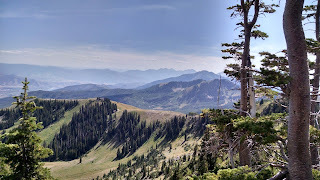 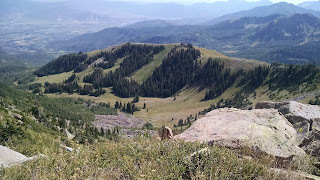 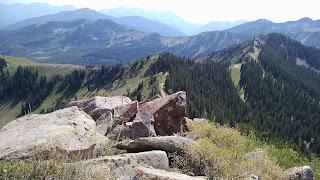 However, one trail I have not yet done is Clayton Peak. 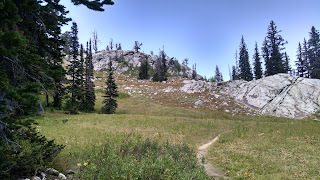 I had tried to do Clayton Peak before, but had missed (or misunderstood) where the trail was located. 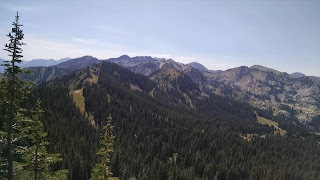 This past weekend, I finally got my bearings sorted out and had it pretty well figured out where to go. 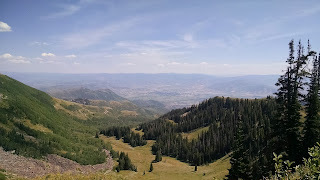 Clayton Peak is located on the Sunset Peak Trail. 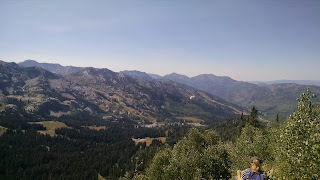 You basically arrive in Brighton at the ski lodge and then head east. 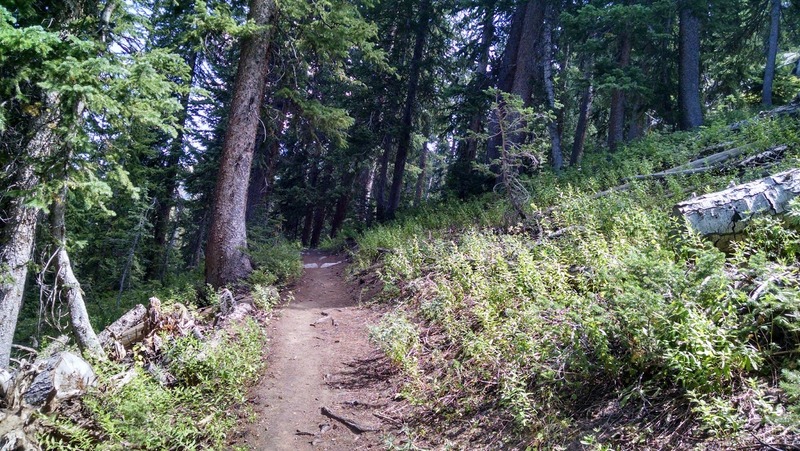 The first .9 of a mile is a strenuous, but not impossible ascent. 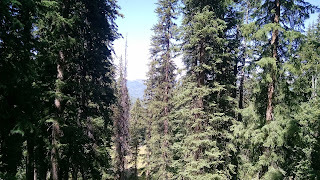 But you'll definitely be huffing and puffing. 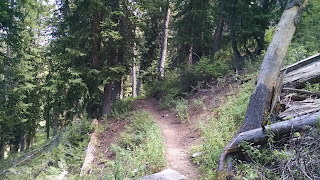 Eventually you'll come to a fork in the trail for Dog Lake. 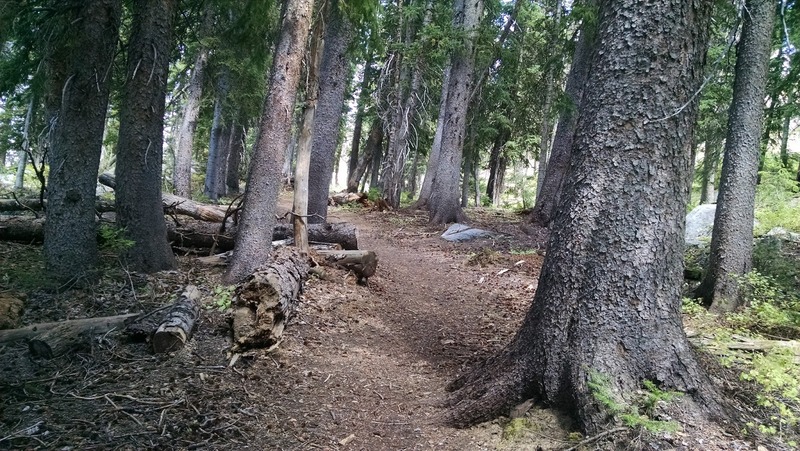 Take trail and not soon afterwards, you'll see another sign for Clayton Peak Trailhead. 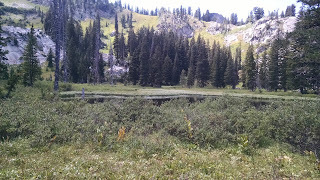 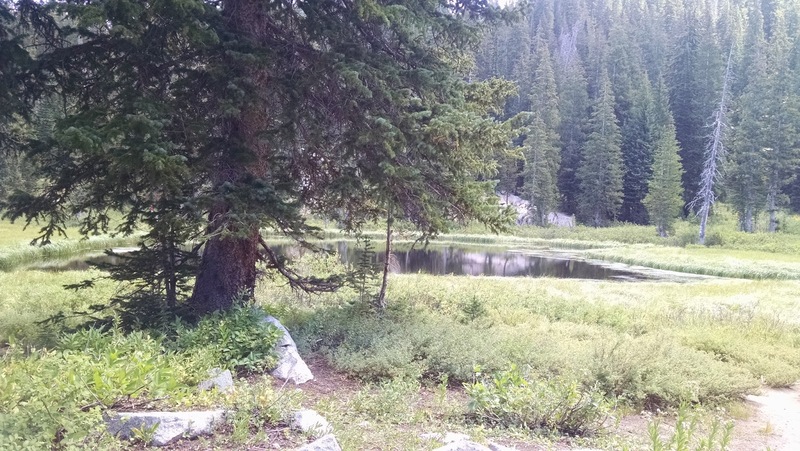 You can make a quick stop into Dog Lake and return back to the main trail. 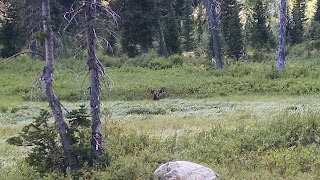 While at Dog Lake, I spotted a pair of moose. Clayton Peak is a gentle climb for about 2 miles. I didn't find the trail difficult at all and actually it was highly runnable. 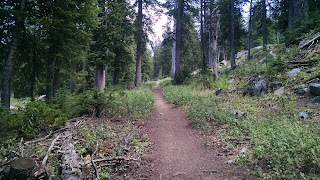 I saw a good number of runners taking in the trails. After leaving Dog Lake, the trail goes into deep pine punctuated by dirt roads. Stay on the thin trail throughout. 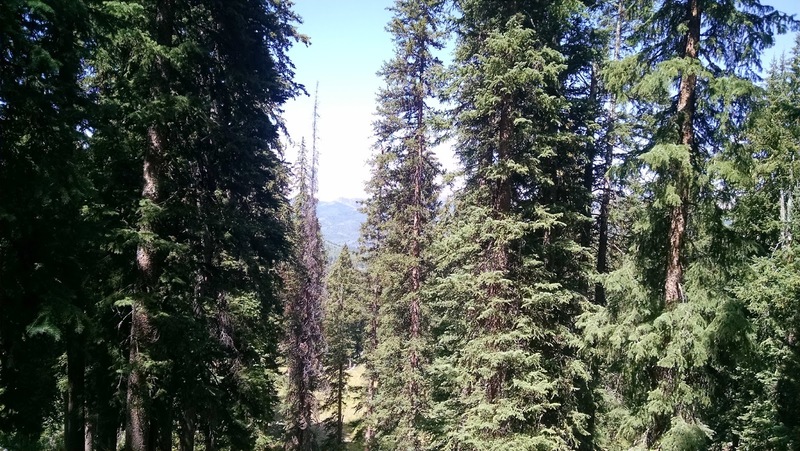 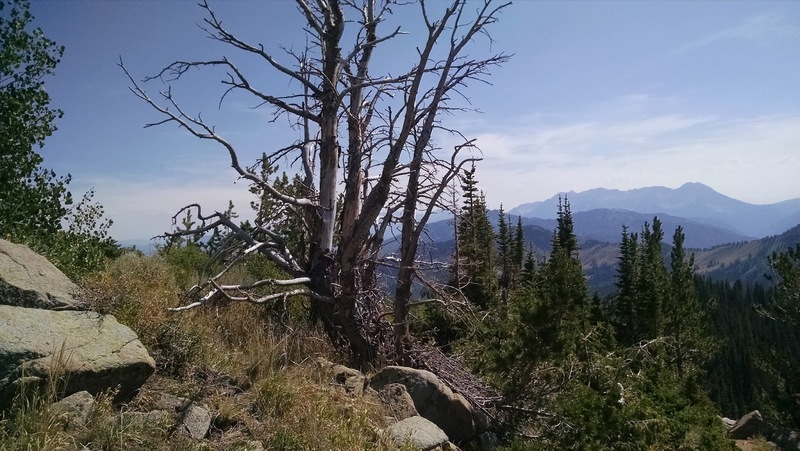 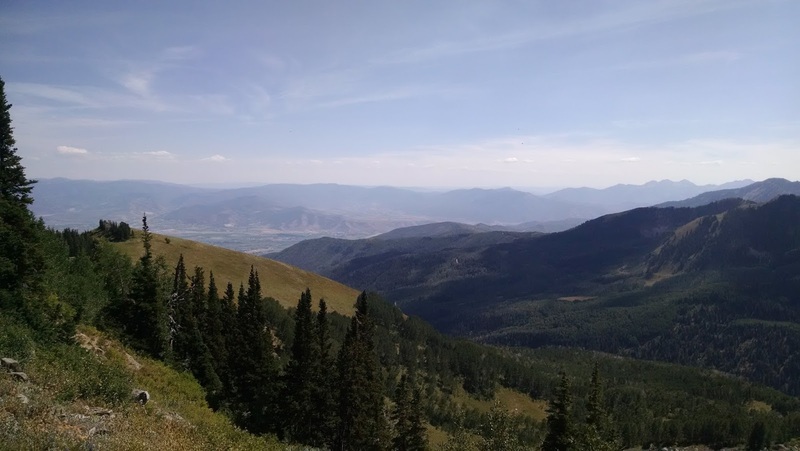 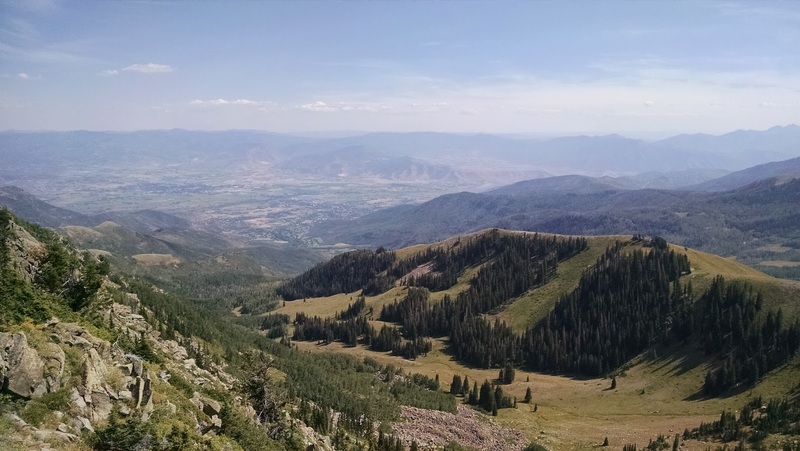 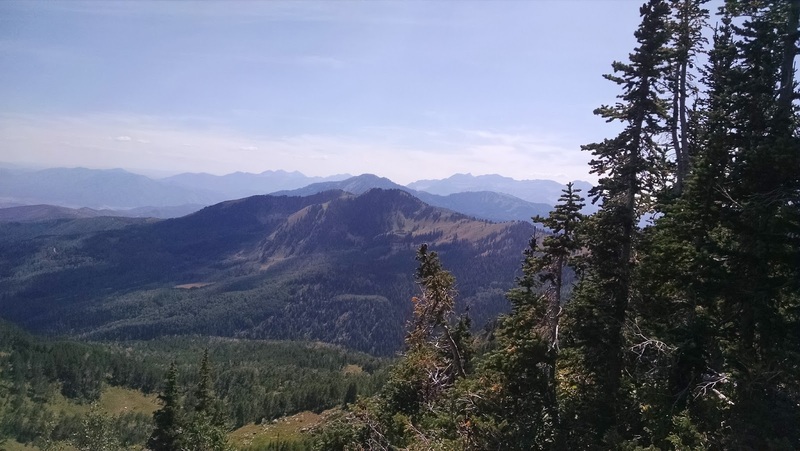 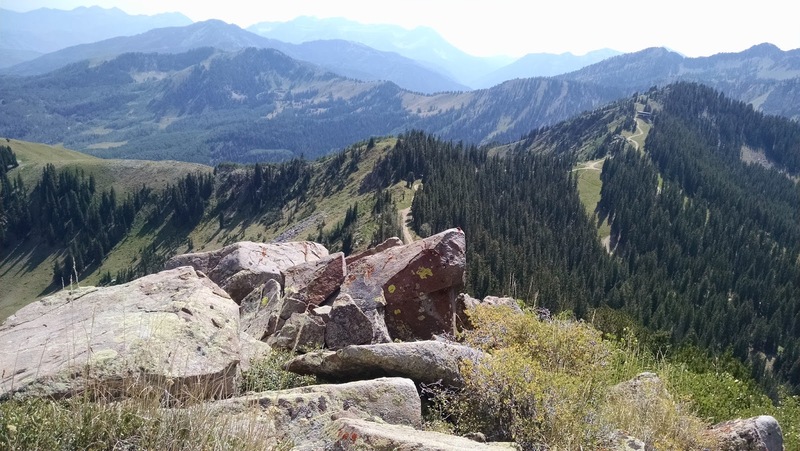 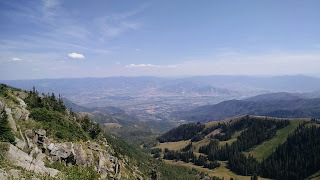 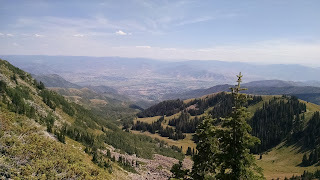 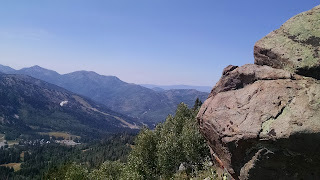 When the trail ends, you'll be near a ridge, where if you scramble over it, you'll be able to see Heber Valley and Midway. Proceed north for 5 - 10 minutes. You'll see another small trail to your right that scrambles along the base of a peak. Take that trail and after an arduous climb, you'll reach the top of Clayton Peak. 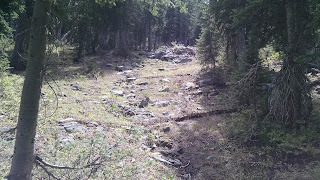 The signs say it was 2 miles, but I would hazard it was a bit longer. 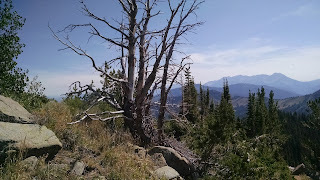 I did get hung up briefly on the trail to Clayton Peak. 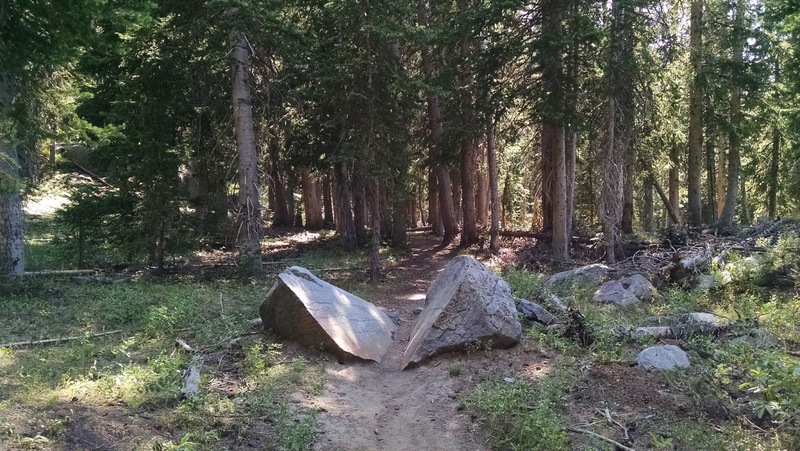 It does seem to fork at one point, and I took the wrong way. If you are working too hard trying to find the trail, you are going the wrong way. 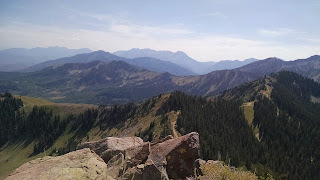 Luckily I was able to correct myself, but I felt like a fool for having missed the fork to the right. The views are outstanding and it was enjoyable to see Heber and Midway from a different perspective (it is roughly the same view as Sunset Peak). 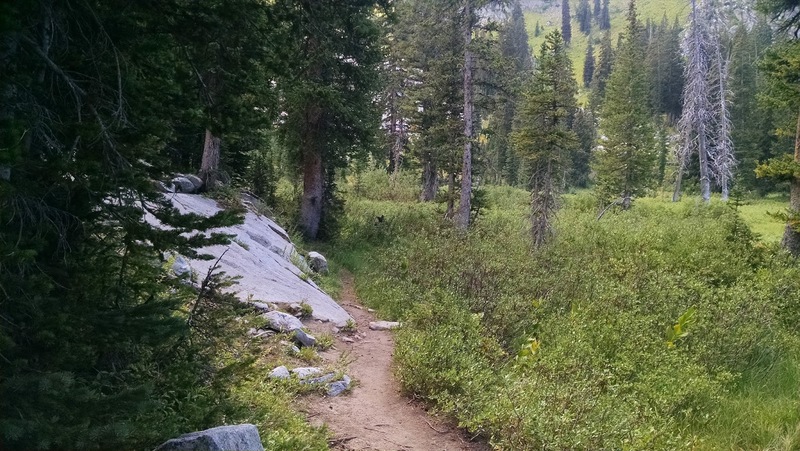 There are other places to explore out there if you are willing to trail blaze a bit as well. 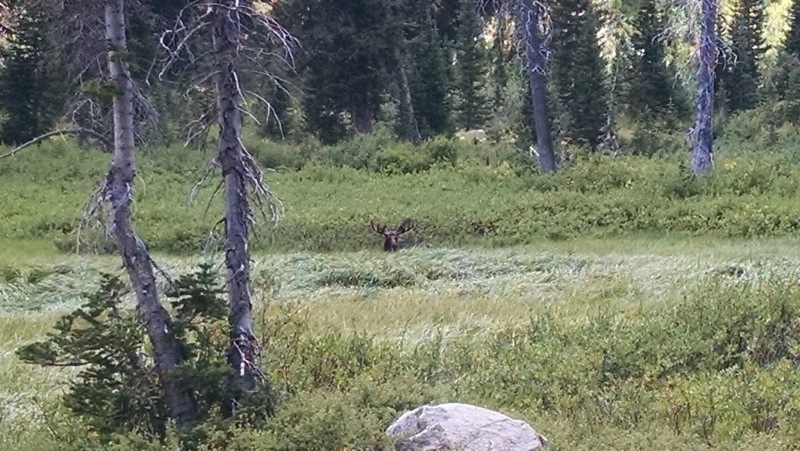 Can you spot a moose in this picture?